Chiropractic care is often seen as the treatment for back pain. A lot of people don’t realize that it can be a great way to treat quite a few different things as well. It definitely isn’t a replacement for a doctor if you need one, but it can be a wonderful way to treat some injuries or musculoskeletal pain. Chiropractors believe that by aligning your spine, your body can recover from a number of different conditions without needing medication or surgery. These professionals may use their hands or some instruments to make adjustments to your musculoskeletal system and help your joints and muscles to move more effectively. Often a patient has suffered a tissue injury and have limited mobility as a result. Chiropractic care is a great way to increase mobility and reduce the pain of not only your muscles, but also your joints and ligaments. Read on for some common injuries that can be greatly eased when their treatment is supplemented with chiropractic care. 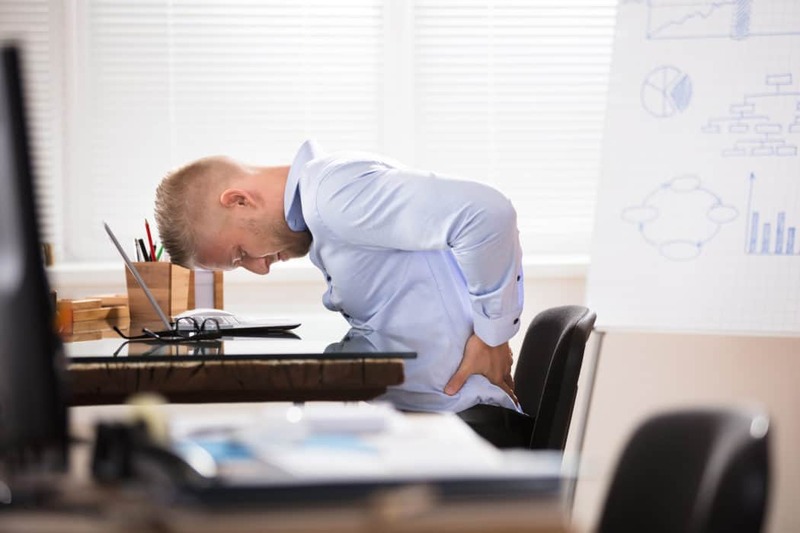 People who suffer from sciatica have pain in their lower backs and legs as a result of the inflammation of their sciatic nerve running from their lower spine down to their feet. This is one of the most prevalent nerve issues that chiropractic care is able to treat. This sports injury is basically inevitable for most athletes. Luckily, it is also very treatable with chiropractic care. Most of the time, professionals will choose to adjust the body to mobilize joints, do some targeted work on the scar tissue, and stretch out the muscles. Additionally, they will take a look at any muscular imbalances one may have, as it is one of the major reasons people strain their hamstrings the first place. People who strain their lower backs usually get chiropractic care to lessen pain and promote mobility. Additionally, most chiropractors will teach you exercises that will strengthen your lower back, saving you from another strain. There are a myriad of reasons that people suffer from neck pain. It could be a cervical sprain, whiplash, or just a particularly trying desk job. Chiropractors help to adjust your musculoskeletal system back into place, relax or stimulate specific muscles, and assign you exercises to prevent it from happening again. A great number of people in the world suffer from scoliosis. A spinal curve of more than 10 degrees can be treated with chiropractic care. First, the chiropractor will assess your medical history and posture, and maybe take a few x-rays. Once again, spinal adjustments and different exercises will contribute to your healing. This condition is one that is commonly associated with desk jobs. Indeed, it is easy to compress the median nerve in your hand and wrist with repetitive finger use and too many wrist motions. Chiropractic care is a highly recommended way to treat this pain. This is another highly prevalent injury, often seen in people who excessively rotate or put too much pressure on their wrists, whether during sports or not. Chiropractors will probably help you strengthen, stretch, and mobilize the area, eventually enabling you to live life pain-free. Some people experience pain in their hips when their bursa is inflamed. With chiropractic care, patients can enjoy better mobility and less pain in their legs, hips, and lower back. A great number of expecting mothers put up with persistent lower back pain during their pregnancies. By adjusting the pelvis, these individuals can experience lower levels of pain. Chiropractors will also give them exercises that they can do at home to relieve any pain they feel. Research indicates that chiropractic care is an excellent treatment for herniated discs. In just a couple months, patients report major improvements. The aforementioned injuries are just the tip of the iceberg of conditions that chiropractic care can help in. If you are suffering from pain or have been injured, you should definitely visit a medical doctor first. Chiropractic care is usually an excellent supplementary treatment. For the best results, make sure you select the most reputable professional chiropractor in your locale. If you have some pains that can be solved with chiropractic care, check out the Florida Wellness Medical Group! Being able to experience a higher quality of life has never been easier. We are based in Tampa, FL. If you’re looking for a Tampa Chiropractor come visit today!